Lucy talks Mary Jane and Vanda into temporarily moving in with her while they all embark on a crash diet so they can support each other. 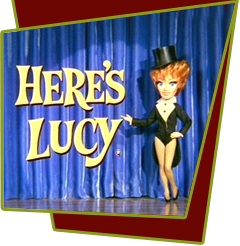 All goes well until Harry shows up with a trays of gourmet feasts for a party he is planning, which must be stored in Lucy's refrigerator because his is not working. The three are so tempted that they have to chain the fridge shut. Special Notes: This is the largest part Vanda Barra will have on a Lucy episode, and it showcases her to great advantage. Under different circumstances, she might have been a good replacement for Vivian Vance. In later years, Vanda and Sid Gould divorced and she retired from acting.